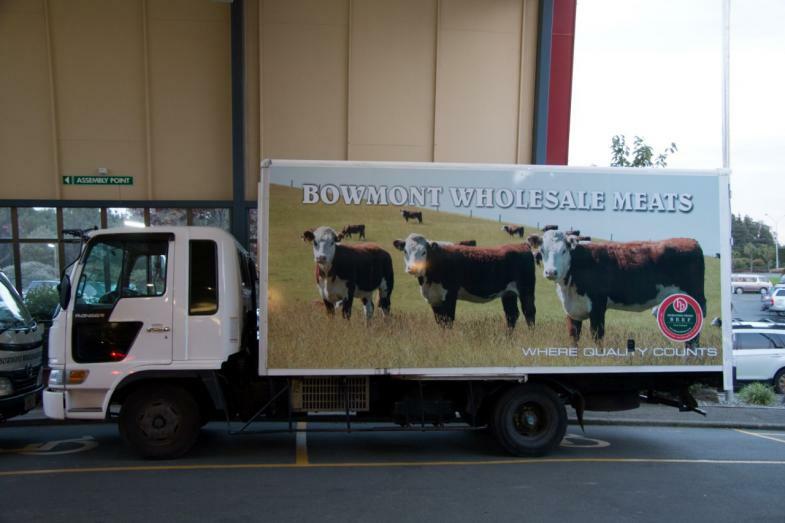 Bowmont Wholesale Meats of Invercargill have recently sign written their delivery vehicles and emblazoned them with striking images of Hereford cattle the Hereford Prime brand. Hereford Prime NZ Ltd is proud to be part of the new look vehicles. 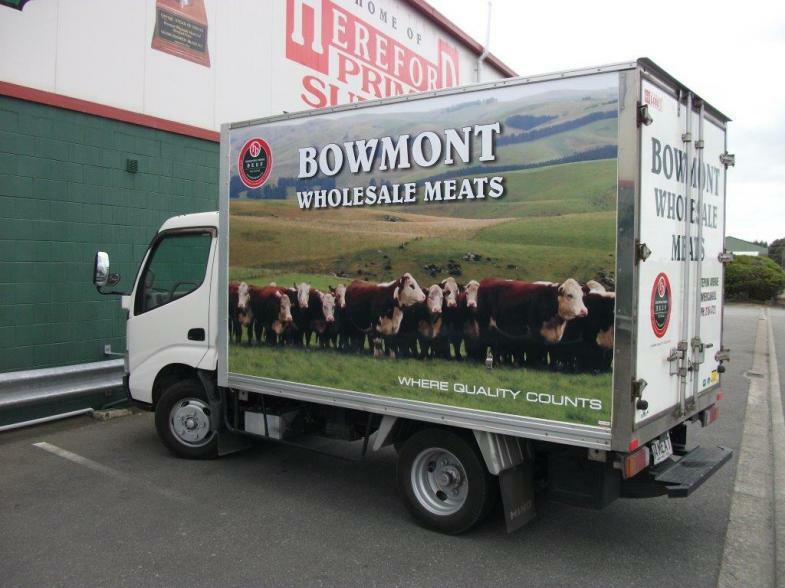 The eye-catching trucks are busy making deliveries of Hereford Prime and other Bowmont meat products throughout Invercargill and Southland. Stephen Flynn says the feedback and comments have been positive with people saying how good the trucks look. 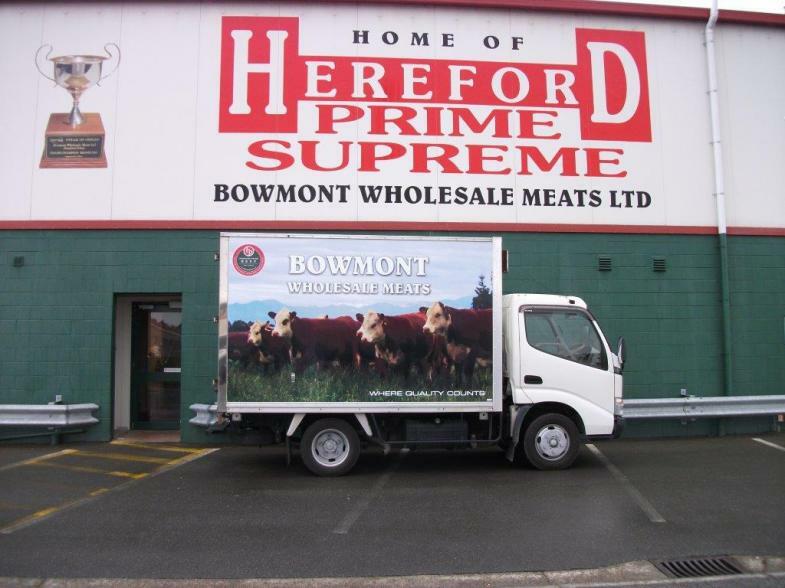 Well done to the team at Bowmonts and thanks for so proudly flying the Hereford Prime flag!